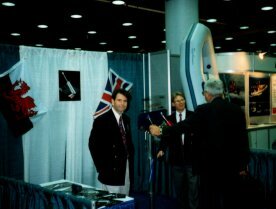 manufacturing rights for sale ..
An exciting opportunity for a manufacturer to produce and market a FULLY AUTOMATIC, 'hands free' trim tab system within the USA and Canada. Completely access the fastest growing and largest sector of the marine trim tab market.. Exclusive technology licensing agreement available for North America - or buy the patent ... we are very motivated and will give serious consideration to all offers. This is a unique opportunity to secure and fully exploit the broad scope of our IP. We have confidence in our design and it's potential for the marine OEM and after sales market. If your a manufacturer that also recognizes our systems significant potential and you have the ability to produce and market it, we will consider a royalty only arrangement - no up front payment ! Significantly, our IP does NOT restrict the system to be an exclusively OPEN one, as described in this web site. The scope of the IP also allows the Rams to be a CLOSED system filled by oil, nitrogen gas or water, etc. Please email if you have any question or require more details regarding the exciting potential of our IP. The RocketFlap system was first shown in prototype form at IMTEC 1994, Chicago and entered for the Innovation award. The unique system generated attention even in it's basic prototype form. Having square tab and piano hinge secured with nut and bolts was consider very basic but more than adequate for prototype purposes.